Chocolately surprises, the cutest pictures and a merry rhyme you’ll love to sing along to. Join these happy animals for yummy Easter fun. 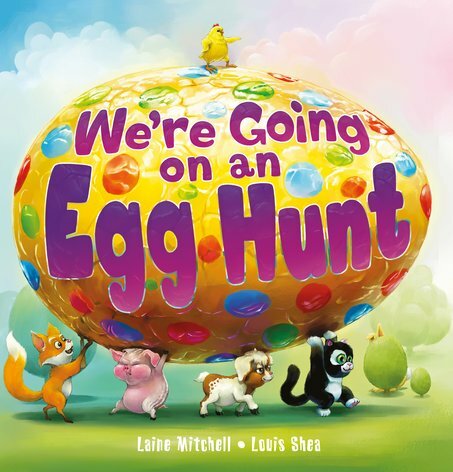 “We’re going on an egg hunt. We’re going to find the biggest one!” But where will the biggest egg be? And what else will these adorable animals find? Rhyme and mime along as they twist and slide through beautiful picture scenes full of jolly details. Count the animals, count the eggs, but don’t try to count the laughs – there are too many!